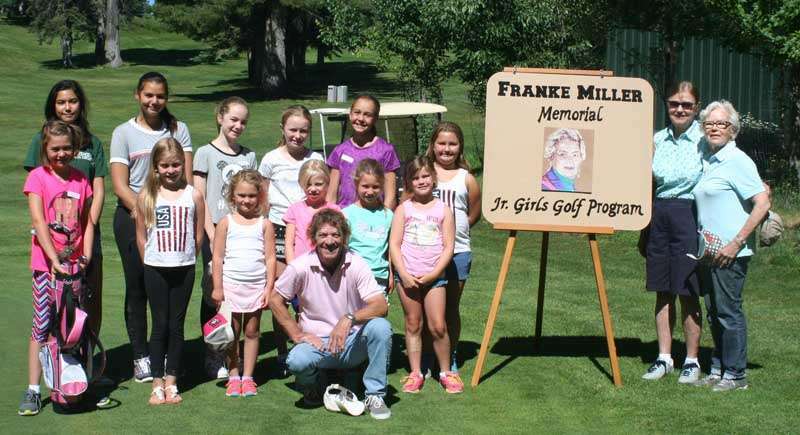 The Franke Miller Memorial Junior Girls Golf Program summer clinics, run by the Lake Almanor Country Club Women’s Golf Club, is open to girls up to 18 years of age. Beginners are welcome. 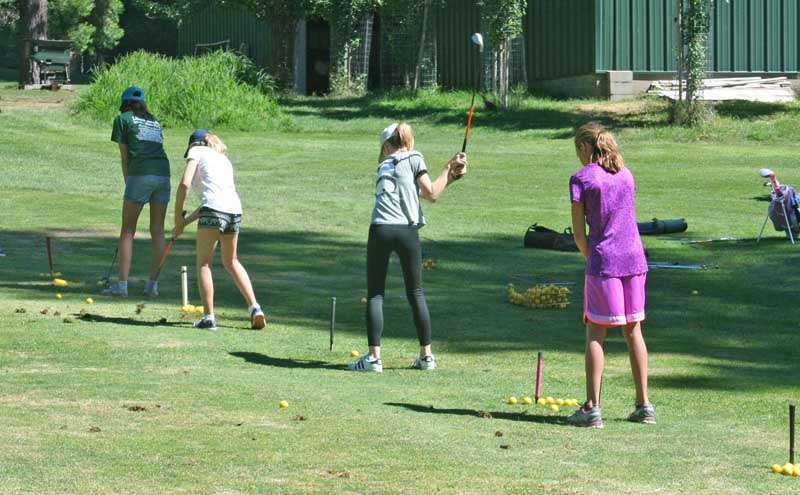 The LACC summer clinics are held every Thursday through Aug. 10, from 10 to 11 a.m., at the LACC driving range near the maintenance building. 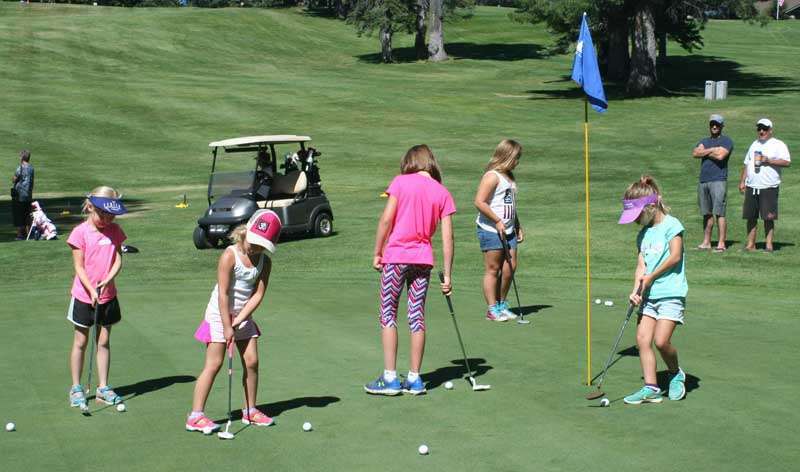 Lake Almanor Country Club staffer Jeff Smith teaches the golf clinics. Golf equipment and water is provided free of charge to the golfers. Participants meet at the maintenance building up the paved road next to 1115 Lake Ridge Road, where they will be escorted to the nearby driving range. Girls may register for any number of classes they choose to attend by contacting Trudy Leete at 259-5103 or Susan Espana at 916-201-4833. Parents or guardians need to sign a permission form when they drop off their kids. Family members are free to stay to watch their young golfers from the sidelines during instruction. Leete added that people from the country club are always present to assist and watch over the golfers. For additional information, email [email protected]. 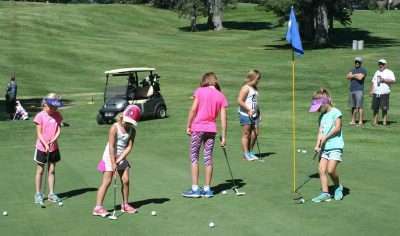 Girls practice their golf putts at the putting green at Lake Almanor Country Club on July 6. 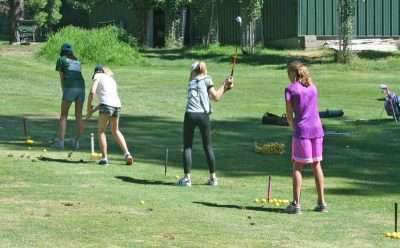 Several girls practice their golf swings July 6 on the driving range at Lake Almanor Country Club.